Almost half of African American, Hispanic, and Native American students in the United States do not graduate high school on time with their classmates. It’s a startling statistic that demonstrates the extent to which students of color are being left behind during their education. This gap in student achievement between students of color and white students has been well-documented for decades. Policies such as the No Child Left Behind Act of 2002 and 2015’s Every Student Succeeds Act have highlighted the importance of closing the gap, but many challenges remain, including a lack of public school funding that has contributed to schools in high-poverty areas being under-resourced, as well as unequal access to technology and the internet. Teachers in today’s public school system can and must do more to help children from minority backgrounds reach the same level of achievement as their peers. In September 2014, kids of color made up the majority of students enrolled in America’s K-12 public schools. That ratio may tilt even more within the next decade, with the National Center for Education Statistics projecting that white students will make up 46 percent of public school students by 2025. Despite these numbers, a gap in academic performance persists between children from minority backgrounds and their white peers. This gap is known as the minority gap, or achievement gap, which also refers to the academic disparity between students from low-income families and those who come from a wealthier socioeconomic background. When talking about the minority gap, it’s important to recognize that neither race and ethnicity nor socioeconomic status exists in a vacuum. Minority children are more likely to be poor than white children because of the way race and ethnicity influence opportunity and economic outcomes. Black and Hispanic children are also more likely to live in low-income neighborhoods and attend schools with a majority of low-income, nonwhite students. Studies show that low-income students and students of color consistently have less access than their white counterparts to educational assets, such as properly funded schools, funding, qualified teachers, high-quality curricula, books, and computers. In 1966, James Coleman authored "Equality of Educational Opportunity," a groundbreaking report on education equity in the United States. The report examined the inequality of educational opportunities between schools attended by white students and by black students. According to a 2016 analysis by Eric Hanushek, the gap first examined by Coleman is closing at such a slow rate that it will take more than 150 years before black and white students reach the same level of performance in math and reading. While policies at the state and federal level may draw attention to the minority achievement gap, it’s in the classroom where there is the most immediate opportunity to actually close it. Teachers today can and should be closely examining the difference in achievement between minority and/or low-income students and white and/or affluent students, and actively working to close this gap. Fortunately, the technology that is available to teachers and students today can make a significant impact on student achievement. 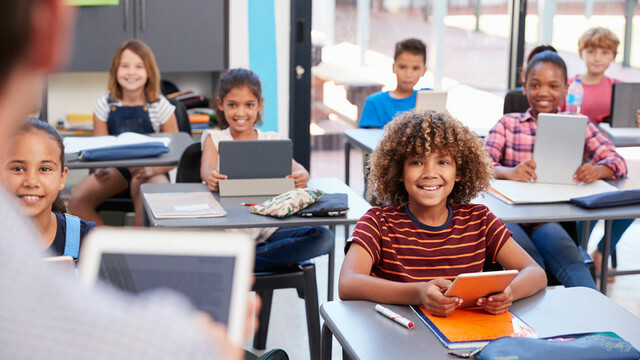 According to a report from the Stanford Center for Opportunity Policy in Education, technology can produce “significant gains” in student performance; however, technology must be implemented properly through interactive learning, exploration, and creation, as well as the “right blend” of teachers and technology. Achieving digital equity in the classroom—providing every student access to the same technology—can also impact student performance by putting all students on an equal playing field when it comes to access to information. Here are some technologies and techniques that teachers can consider implementing to help them close the minority gap in their own classrooms. Since 1989, iLearn has been helping educators use technology to better teach and engage their students. iLearn Math is available for students in kindergarten through 12th grade, as well as for college students and home-schooled learners. The program provides interactive instruction for learning math that is tailored to individual students’ abilities. DimensionU helps students in grades three through nine develop core math and literacy skills through the use of multiplayer video games. The program offers four different game worlds that students can access at school or on their own devices. In each world, students can play collaboratively and competitively with their peers, as well as with students across the globe. This drag-and-drop-style graphic design program helps teachers and students alike create presentations, posters, social media posts, and documents. With this tool, students can learn about design, express their creativity, and collaborate with their classmates. With Formative, teachers can create assignments and monitor students’ responses and results in real time. This program is available for any subject and helps educators move away from using just multiple choice as a form of assessment. Furthermore, Formative offers educators a way to visualize their students’ performance across assignments and assessments. The program also integrates with other common educational tools, such as Google Classroom and Clever. Brainscape has developed a web and mobile flashcard app that the ed-tech company asserts will double a student’s retention of facts when compared with studying books or traditional flashcards. Educators can set up a personalized class page their students can access, make their own flashcards or borrow from other educators, and track students’ study progress. Use Technology to Allow Students to Explore and Create. Student-led learning can increase a student’s engagement with and understanding of a lesson. By allowing students to explore concepts from different angles or choose how they want to work on a specific project, they will have more agency over their learning, which can lead to higher levels of achievement. This style of teaching is different from what is commonly known as a “drill and kill” approach, in which a computer takes over for the teacher by presenting information, providing practice problems and then moving on to the next lesson once a student has demonstrated “learning.” Studies have shown that when students are allowed to explore, they have higher levels of engagement and self-efficacy, in addition to a more positive attitude toward school. Monitor Student Progress Consistently. Developing and adhering to a program that monitors student achievement throughout the academic year can help teachers to identify which students may be falling behind in what areas, thereby enabling teachers to intervene early and help struggling students get back on track. 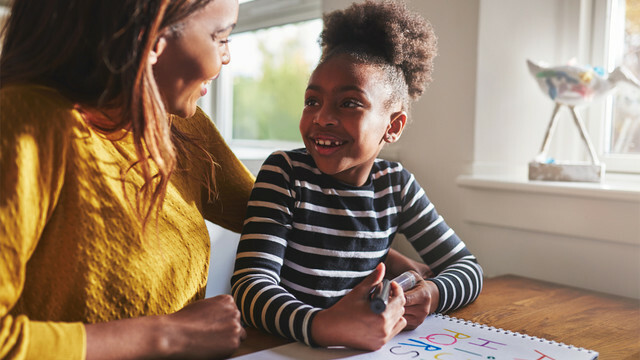 Furthermore, teachers may be able to identify patterns in student achievement or challenges that may point to external factors, such as a child’s home life, that are impacting a student’s academic performance. Increase Parent and Family Involvement. Open channels of communication between the classroom and the home are a key factor in closing the achievement gap. It’s vital for educators to understand what may be happening in a student’s home life. Are the child’s parents engaged in helping with schoolwork? Are there other factors—jobs, chores, family duties—that may be preventing that child from being able to focus? Is the child getting enough to eat? It’s equally important that parents and family members be aware of their children’s successes and challenges in the classroom. If parents understand where their children may be struggling, they can work with teachers to develop a plan to help their children improve. Similarly, if a teacher understands that those support systems are not necessarily in place in a child’s home, the teacher can then devise alternate plans, such as additional instruction, to help the child succeed. Embrace a Blended Approach to Teaching. Some may perceive the presence of computers or tablets in the classroom as technology taking over for the teacher, as devices—not educators—are presenting information to students. Rather than letting a computer program take over for classroom instruction, educators should embrace a blended approach to teaching that combines technology with traditional instruction. With a blended approach, students can learn online while also receiving support and instruction from their teachers. Become a Culturally Proficient Educator. Without an understanding of the various cultural backgrounds that students bring to the classroom, it is difficult for a teacher to understand how those backgrounds may impact a child’s academic achievement. That’s why educators should make a concerted effort to learn about the underlying causes of the minority achievement gap and understand how their teaching methods may be contributing to those causes. Ultimately, teachers should aim to embrace the cultural differences within the classroom and develop teaching tools and communication skills that enable students from all backgrounds to succeed. The statistics that demonstrate the breadth of the achievement gap are indeed troubling; however, it is vital that educators, policy makers, and community members alike be aware of this minority gap so that they are able to take direct steps toward closing it. There are a number of technologies and techniques that educators can implement to help close the achievement gap and foster student success, regardless of a child’s background.